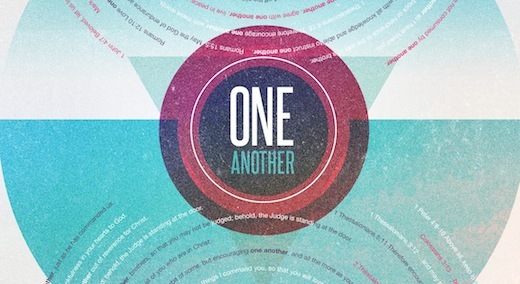 The New Testament contains at least 40 passages that contain the words “one another” and each one points to a way that Christians are to treat, or are not to treat, each other. This graphic seeks to display the whole lot of them. If you are after a high-res version, you can have it here in JPG format (9 MB). Please feel free to download, copy, email, share, or print the graphic; I just ask that you don’t sell it.